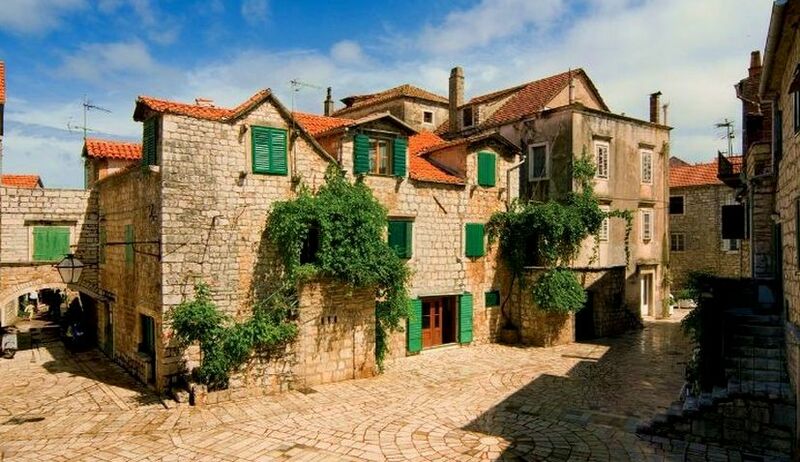 Stari Grad on Hvar has entered its post-season. 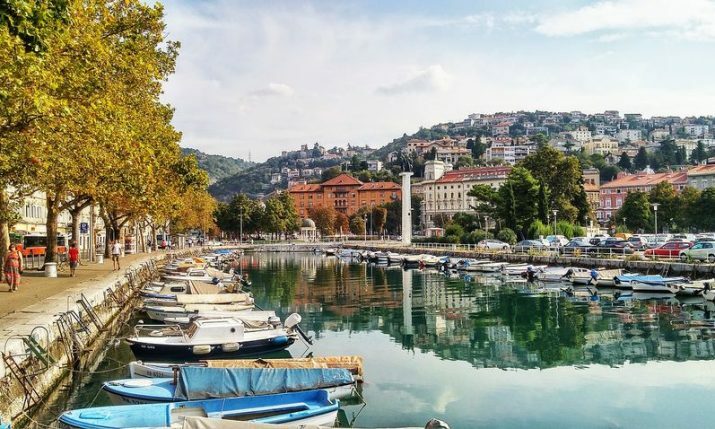 It’s a particularly quiet and fresh September day after a short-lived afternoon rain, with an occasional tourist strolling along the Riva, and a group of children jumping over shallow puddles on the small Stjepan Radić Square. We are sitting in one of the islanders’ favourite haunts, the cosy bistro At Damir’s, whose fine food and red-and-white chequered tablecloths provide a homely atmosphere all year round. Above us is the signboard that reads: ‘Ministry of Other People’s Affairs.’ Krešimir Zelić, a lawyer, entrepreneur, and writer from Zagreb, who, as he says, washed up in Stari Grad in August of 2013, almost entirely by chance, and has happily stayed here ever since, thought other people’s affairs to be an under-tapped resource for developing a special brand of island tourism when he and his collaborators launched Paiz Times. 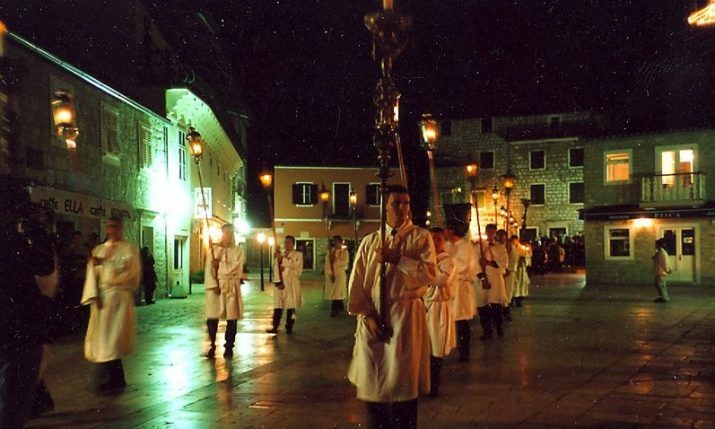 Dubbed ‘Yellow Pages of History’ and covering (significant) events in both Stari Grad’s ancient and recent history, slanted toward the trivial and bizarre, the first, Croatian edition of the newspaper appeared in 2016, to celebrate the 2400th anniversary of Stari Grad, known locally as Paiz. 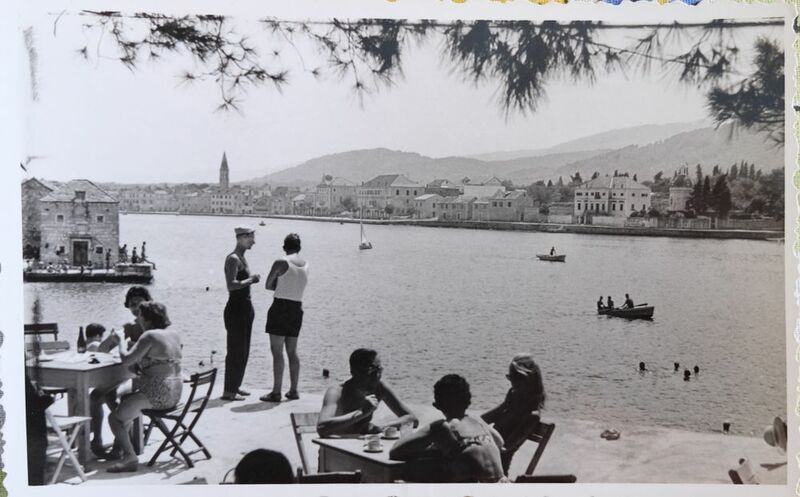 The crisp English copy lying on the table in front of us is hot off the press.“The Croatian version was meant to bring Stari Grad, and the rest of the island of Hvar, closer to the Islanders. 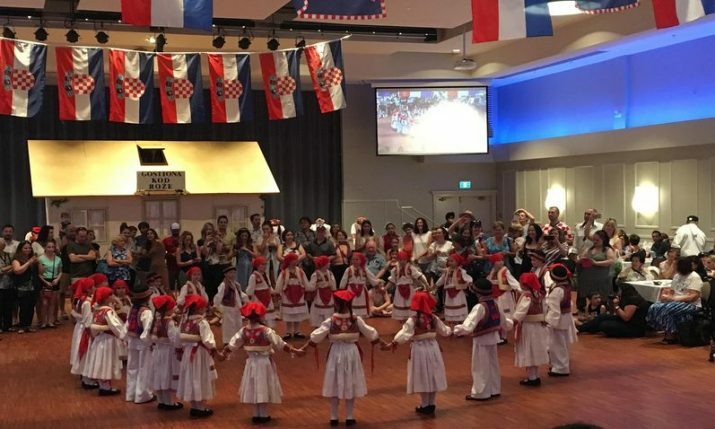 The English edition should entertain and educate the tourists,” says Vilma Stojković, Zelić’s partner on the project. An art restoration expert and photographer, who has been working in Stari Grad’s Town Museum for the last ten years, Stojković dug through her personal and the Museum’s archives to find the best-suited photographs to accompany Zelić’s texts.“Stari Grad is one of the oldest urban centers in Croatia and one of the most photographed ones,” says Zelić.“Sadly, its last photography shop closed at the end of the 90ies,” adds Stojković. Indeed, at the beginning of the 20th century, explains Zelić in one of his articles in Paiz Times, a photographer from the island of Vis, Petar Ruljančić, landed here by mistake but went on to open the first photography shop on Srinjo Kolo, then a main commercial street in the town, leaving behind ample visual documentation of the island. 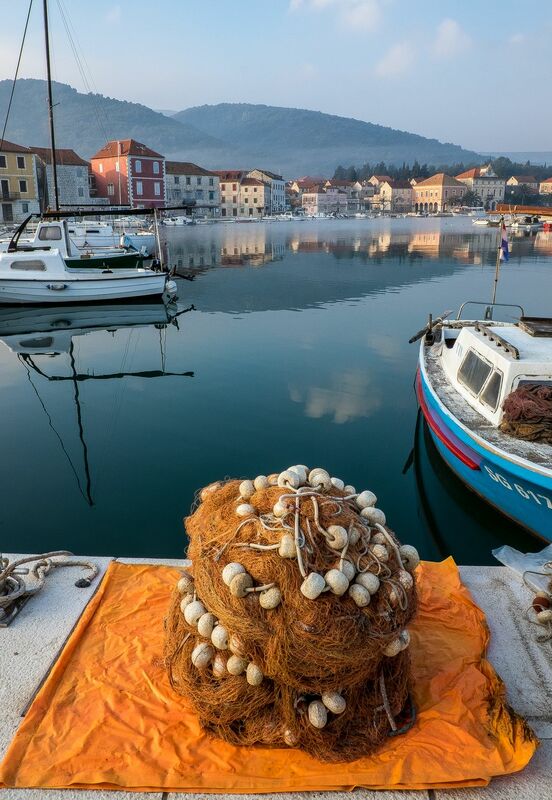 A busy port with shipyards, its own sailing ships, and regular connections to the rest of the Mediterranean and beyond, Stari Grad counted around four thousand residents in those days. But the fatal phylloxera, one of the main reasons for mass emigration of island population to the Americas, Australia, and elsewhere, as well as to the Croatian mainland, together with the First and Second World Wars cut that number by half.“Guests come to Stari Grad to rest after ‘resting’ in the town of Hvar,” says Zelić. 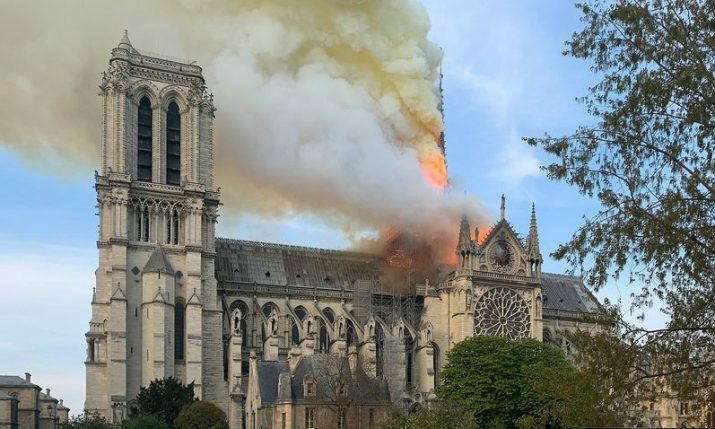 “What we have here is a sort of high-minded, cultural tourism. After all, it was Petar Hektorović, the Renaissance poet who’d spent a lifetime building his fortified garden-residency Tvrdalj, who’d set the pace here, so to speak. Stari Grad is quite talentless when it comes to shrill entertainment tourism that Hvar has to offer, for instance.”In well-researched and witty articles that highlight chosen moments on a centuries-long timeline, Zelić outlines the reluctant beginnings of Stari Grad’s tourism, which, he writes, has developed mainly as a compulsory or, rather, predictable response to the falling through of other economic ventures, from shipbuilding to lavender. But the island newspaper is only a small part of the whole scheme. 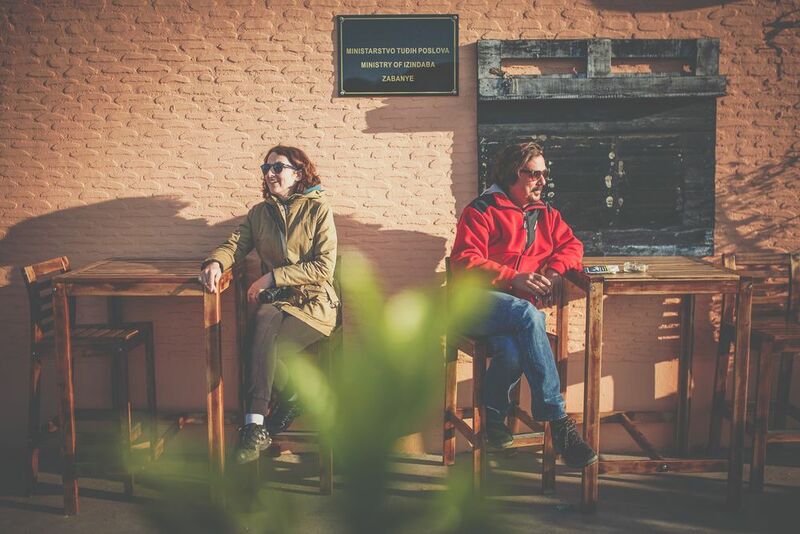 Zelić and Stojković, both certified tour guides and bicycle and trekking aficionados, also have several custom-made tours on offer. 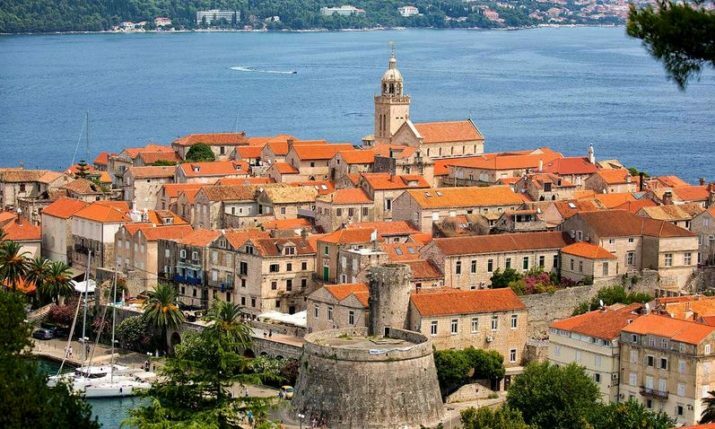 History Gossip Tours, for example, or walking tours of Stari Grad, during which you get to hear some of the juicier details deliberately left out of the yellow pages, or Ageronauts Tour, a bicycle tour of the Stari Graf field (Ager). 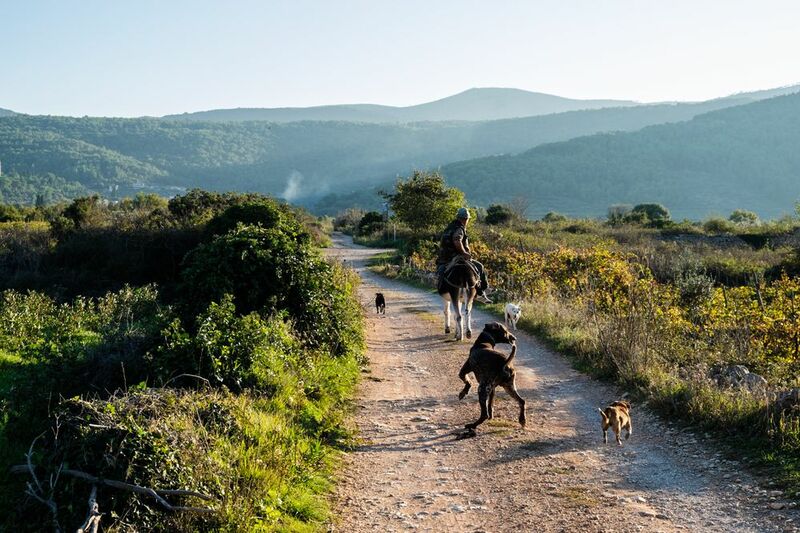 On the Trails of Branko the Hermit is an off-road trekking tour which follows in the tracks of a modern-day ascetic who’d rejected civilization, and so on. 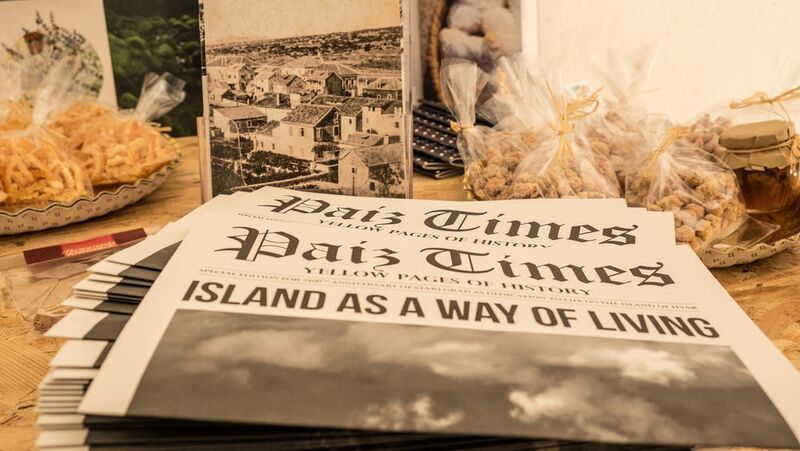 They also provide content and branding for towns, hotels, restaurants, renting facilities and websites, as well as legal consulting in all things island-related, like conducting business, buying property, and gardening. 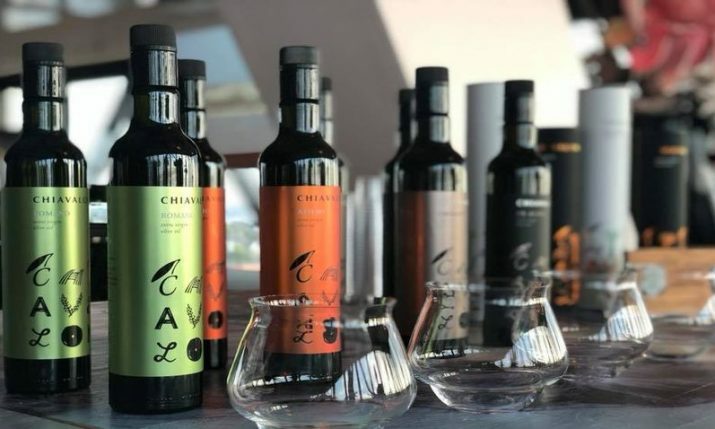 And don’t be surprised if, on the ferry to here, a copy of Paiz Times, tucked among tomatoes or some other seasonal produce, welcomes you to the island. 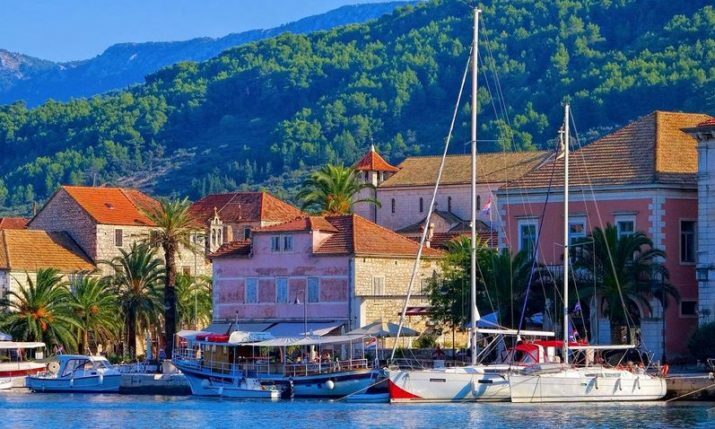 Judging by the number of foreigners who own houses on the island, in twenty year’s time, Stari Grad could easily have a Scandinavian mayor. But for some reason, their enthusiasm peters out without much of a trace after a few summer months, even though it is clear that their love for the island is sincere and that there is much potential for year-round cooperation. Indeed, the island first needs to be seen through one’s own eyes over the entire year. The summer is a multicultural melting pot of nationalities and a great exercise in tolerance. In winter the island plunges into solitude, appeased somewhat by the mildness of nature and the abundance of fruits from both sea and land, as befitting a large Mediterranean garden. Besides an excellent internet connection which we can help you install, the cure for winter solitude is expertly provided by Stari Grad’s Library and Sofia with her impeccable taste for literature, while the restaurants At Damir’s and Mario’s, with their owners as the defining stars of winter tourism, offer continually available hangouts.